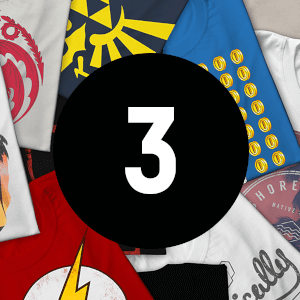 - Select how many t-shirts you’d like to purchase - don’t worry, every t-shirt in each bundle will be unique. - Expect Star Wars, Marvel, Nintendo and other popular franchises to feature in your mystery collection. This option is perfect for anyone looking to gift some awesome t-shirts this season, or upgrade their own wardrobe whilst having some fun doing so. But hurry! This promotion is limited to stock and may end quickly. 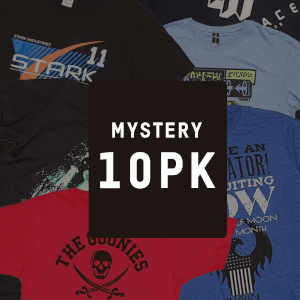 Check back at a later date for our next mystery t-shirt promotion.